Leisure incentive travel is relatively small for South Africa and the continent as a whole, as a result it is the major congresses and conferences that really matter, says South African Tourism Minister Derek Hanekom. Speaking to Traveller24 at the 14th edition of Meetings Africa in Sandton Convention Centre in Johannesburg Hanekom says that studies and time have shown that there are certain things that digital meetings and video conferencing just cannot achieve. As a result the longevity of the Meetings, Incentives, Conferences and Events (MICE) sector and its economic impact is more important than ever. Hanekom says, fortunately for South Africa, it has set itself apart a major destination for hosting cultural and sporting events, with this reputation contributing significantly to SA’s tourism goals. And for the next decade the goals are steep, with an estimated 21m visitors per year, by 2030. These events create a natural and authentic word-of-mouth marketing channel for the destinations in Africa, says the minister. Most significantly for SA is the high visitor return rate. 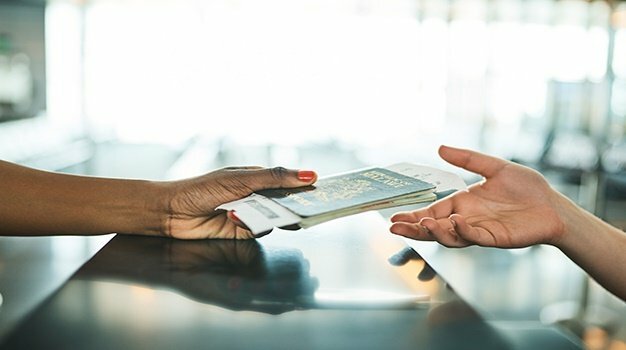 Hanekom states that at least a third of the people who come here for the first time to attend a conference, come back on holiday – and they bring their families with them. “This surpasses the direct contribution to the economy by the MICE sector,” says Hanekom. And its contribution is significant, with 2017 alone seeing an estimated R71bn revenue generated through MICE. This translated into an estimated R115bn contribution to SA’s overall GDP. The multiplier effect means this helped create an estimated 250 000 jobs, he says. According to the South Africa International Meetings 2014/2015/2016 National Contribution Study the average conference delegate will spend 7 days in South Africa in total and approximately 5 days attending the conference. The Joburg Convention Bureau estimated that the average business traveller spends R6 400 per day. In 2017 Gauteng won the bid to host Meetings Africa for the next five years, until 2022. Gauteng Tourism Authority and the Johannesburg Convention Bureau were the successful bidders for the trade show. Hanekom says that while the 14th year of Meetings Africa is in fact its "biggest and well run", it is the number of people who come to exhibit their products along with the number of buyers that matters mmost. For him the ultimate test is if exhibitors come back and if new people come to the event. “People have spoken for themselves, we have buyers from 65 countries in the world, and clearly they see this as the place to be to be exposed to products and offerings and conference centres not only in South Africa but our neighbouring countries and beyond,” says Hanekom. Walking the floor, repeat and new exhibitors as well as key stakeholders praised the event, as "premium business platform". Nelly Mukuzayire, CEO of the Rwanda Convention Bureau says as an attendee for four years running, they've certainly seen the growth of the event and have benefited as a MICE destination, calling it a "home grown solution for Africans from Africans, allowing the attracting of the world to Africa, instead of Africa always having to take its offering to the world" . Barba Gaofanediwe, Head of DM Gauteng Tourism says, "Gauteng accounts for over 40% of the country's GDP, so if Gauteng does well, and sets the pace the country moves ahead much faster. Amrita Craig, Head of Mauritius Tourism says as the Destination marketer for one of South Africa's favourite destinations and participating in Meetings Africa for the first time, she was impressed with the quality of buyers and that they were more international buyers than they had expected. This year of the 343 exhibitors, 86 are from African countries and 86 are first time exhibitors, according to the minister. Added to this, Hanekom speaks of the 4th industrial revolution and how technology is changing the way events and conferences are being planned as well as the things that happen in and around these events. The event as a whole is focused on the shared economy. Hanekom emphasised its these business events that allow for knowledge sharing around issues of continental or global concern, such as climate change or health challenges – whether it be health, engineering or agricultural conferences as examples. Bringing the theme closer to home, Hanekom says in SA the focus remains on shared and inclusive growth. *Disclaimer: 24.com is a media partner of South African Tourism.